Alchemy's Near Neighbours project aims to bring people together from across the area's religious, social and economic divides. Sneinton is a diverse area, ethnically, religiously and economically speaking. This gives the community enormous potential in understanding and tackling social problems that affect people from all over the world. But it also can make communication and collaboration quite challenging. Alchemy's Near Neighbours project aims to help unlock some of the area's potential by bringing people together to work on celebrating Sneinton's good points and working to heal some of its problems. Community Organisers David and Shabana are working on the project- using the listening, facilitation and networking techniques of community organising to uncover shared concerns, motivations and ideas across the community. The aim is to support people to take action on issues they care about. The action will happen in ways that people, using their local knowledge and skills, consider will be the most effective. The Near Neighbours project has kicked off with a meeting of faith leaders and representatives from across Sneinton, which got a positive response and identified a real will to work together. Local schools, GP practices, Libraries and Community Centres have been visited to identify resources that can be brought in to the project such as space for meetings and events and means to spread the word throughout Sneinton. 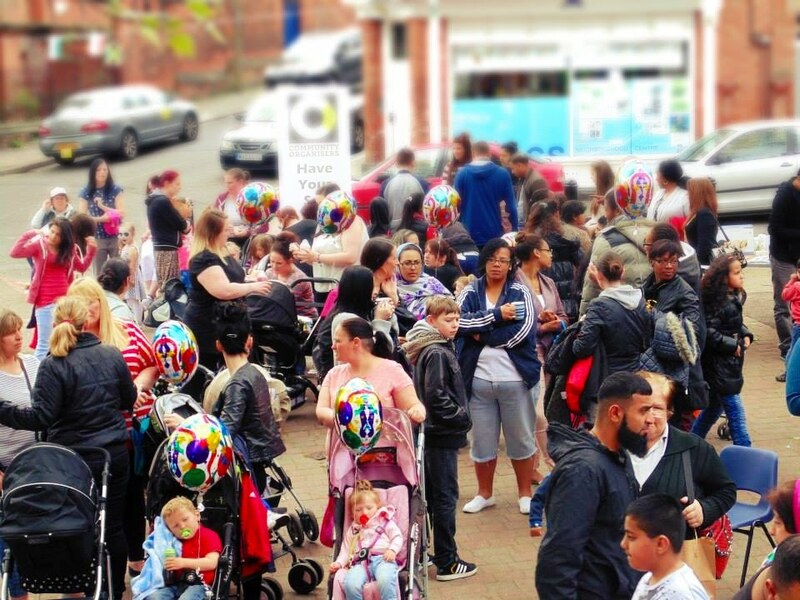 The project is building on last year's integrating communities project, which resulted in improved understanding and collaborative working on the 'United Sneinton' event. 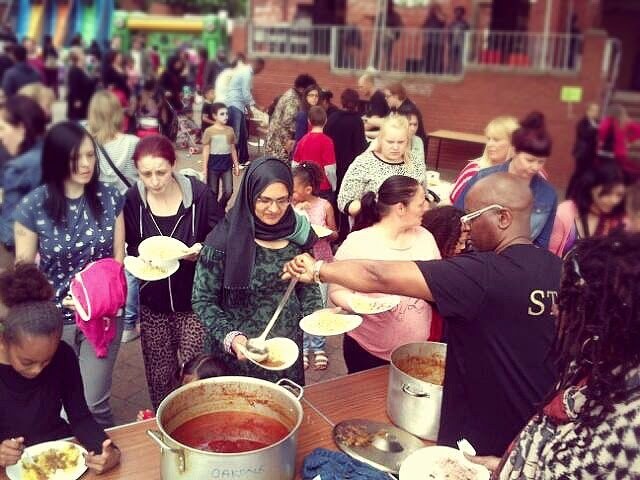 This demonstrated the power of bringing people together from all walks of life to share experiences (and food! ), and to work together on a shared project. 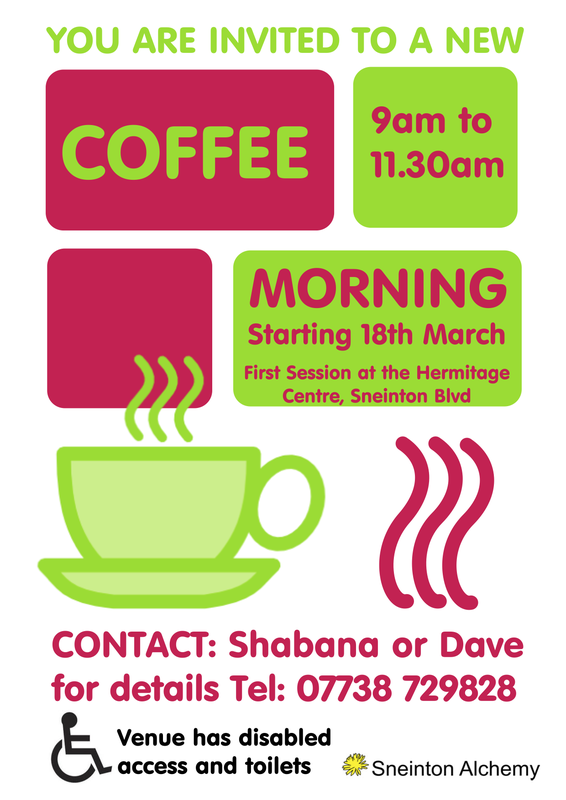 Weekly coffee mornings have been set up, open to all who would like to meet neighbours, find out about the project and plan for some upcoming cultural events. The next phase may involve a return of the popular 'fuddle' format, which involves bringing and sharing a dish of food as part of an informal but productive meeting. This project is possible thanks to funding provided by the Church Urban Fund as part of their Near Neighbours initiative.